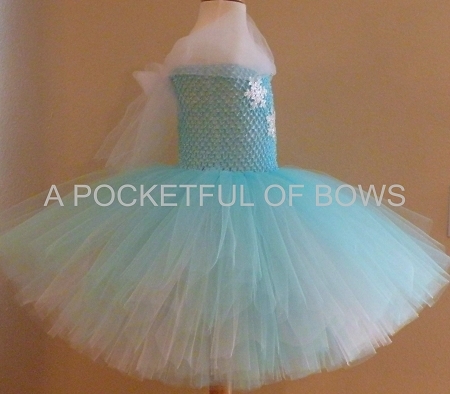 Snowflake Ice Blue princess tutu dress. 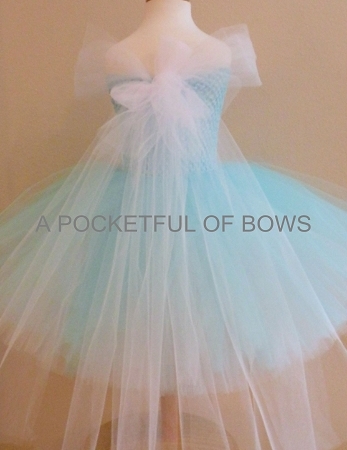 It is blue and has snowflakes on the top and white princess sleeves. 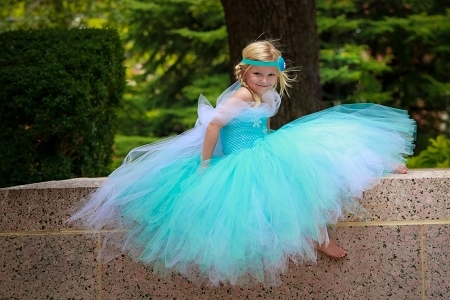 This tutu dress has an extra fluffy skirt in blue and white. Available with or without an attached cape. Suggestion: Wear a long sleeved white top under your dress for the complete the look! Includes removable halter straps. Overall length is the measurement from under the arm (armpit) down to the bottom of the skirt. Cape falls 2 or 3 inches below the skirt length. ***Dresses can be made in other lengths if desired. Dresses are shipped in boxes priority mail with insurance. AVAILABLE: Fully lined top can be added for more coverage for older girls. SHIPPING: Production time for this dress is up to 1 weeks.